The brief and wondrous life of Oscar Wao was neither brief nor wondrous. However, it won a Pulitzer prize and was praised as an instant classic in diasporic text. During my “vacation”, it was on my list of books I intended to read. I should note that looking at the list of Pulitzer Prize fiction winners and runners up since 1948, I have only fully read one of the books, To Kill a Mocking Bird, and partially read two others (Beloved and the Poisonwood Bible) which I thought god awful to get through, but found the stories to be compelling nonetheless. I say that to say – maybe I don’t know books. But as always, I do have an opinion! When I read, I’m not into the “story” per say. I’m more into how the story is told and the writing style. As I have hinted before, I have been most impressed with Baldwin’s writing style and only read a Baldwin book within the last year. The Brief and Wondrous Life of Oscar Wao reminded me very closely of a Jasper Forde book I attempted to get through, Thursday After Next. After reading the back jacket, I thought that this Forde book was going to be a homerun in the field of books, but when I opened it, it was nothing but name dropping of every book that was ever made. The book referenced books I may have read and heard of, but often didn’t get the context in which the other book was referenced. Well, I had the same experience with Junot Diaz. Simply put, I just didn’t get it. I’m not as well read as you Mr. Diaz. Normally if I don’t know a word or name of a person, I look it up in Google or Wikipedia. But I felt lost in this book and everything just dangled. I saw no connection in the text and the only thing I wanted to do was get to the next page and the next until I was done with this book. The book is over 300 pages and you can get through it quickly. However, beware of the footnotes on the bottom of every other page. Yes, a novel with an abundance of footnotes. So in the middle of the sentence, I’m forced to go to the bottom of the page to read a long dissertation explaining his text. While he kept the footnotes informal, often talking in urban vernacular, it just really took away from the flow of the book. I don’t believe good fiction writing needs footnotes. This is in direct contrast to one of my favorite books of all time, The Prisoners Wife, by Asha Bandele. This book is a tale (non fiction) of a woman who is seeing a man in prison (duh). I clearly remember her referencing George Jackson and Frantz Fanon in her book and the way she alluded to their works made me run out and get their books almost immediately. Another downfall to this novel is the writing style. While there was clear dialogue in the book, I had a hard time deciphering between who was talking, when someone was talking, and when someone was narrating. It also took me ¾ of the way through the book to understand who the narrator was. Now that I’ve bashed the book, I can honestly say that the book has some good qualities. 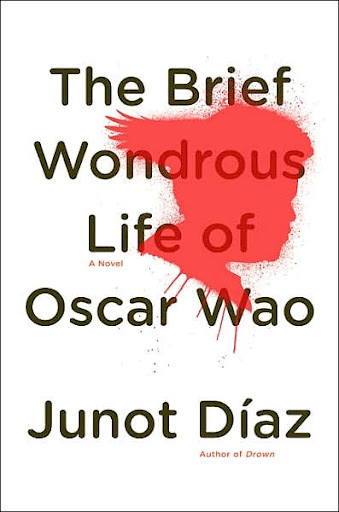 The Brief and Wondrous Life of Oscar Wao told a vivid story of the life in the Dominican Republic and served as a history lesson. But there were times, when I was unable to tell fact from fiction and so my history lesson may be a bit muddled. I did find the folklore of the Dominican Republic and the storylines about the female characters in the book compelling and page turners. What I found the most interesting was the dynamic between the light skinned Dominicans vs. the darker skinned Dominicans and the Haitians. We see this everywhere and I wonder how long color will continue to divide us. Did anyone else out there read this book? What are your thoughts?